Happy June! "It's the most wonderful time of the year!" As we wind down the school year, my students and I are winding down the novel, A Wrinkle in Time. We were discussing the moment when Meg discovers that the power which she has, that IT does not have, is love. Students shared that the people of Camazotz feared IT, they didn't love IT. 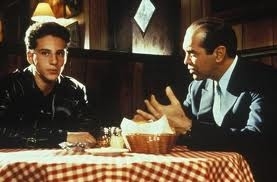 Of course, this class discussion reminded me of the scene in A Bronx Tale where Calogero asks Sonny if it is better to be loved or feared. Sonny's response is not what a teacher would hope for, and doesn't support the theme of Madeleine L'Engle's classic novel, but it is entertaining and worth debating. Enjoy the Friday Film Clip below!